Entrance of Gjusta in Venice. 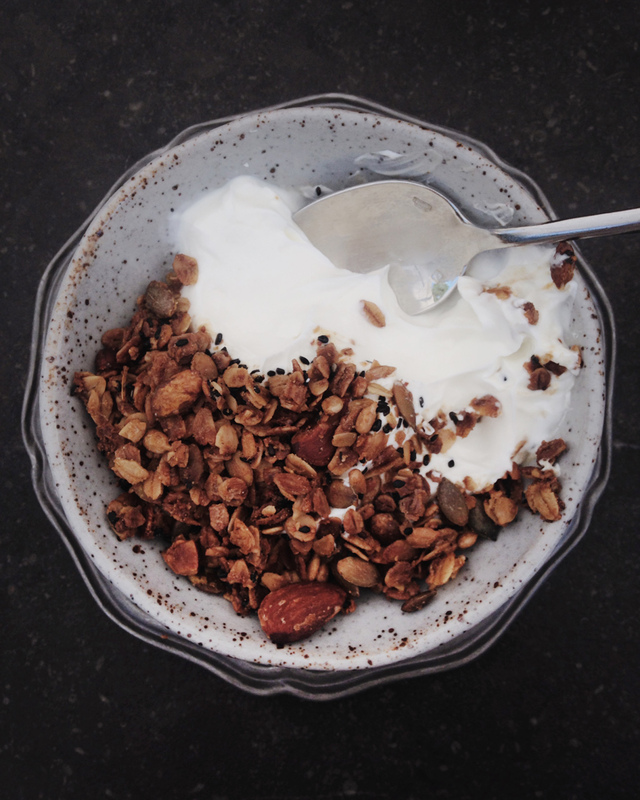 Homemade granola in Gjusta. Breakfast is served 7am – 5pm and along with bakery staples like croissants and scones, you will find eggs, juices, smoothies and sandwiches on the menu. Gjelina, the modern classic in Venice, offers carefree gourmet in upbeat ambiance. As it gets very busy and loud there towards the evening, I prefer lunch to dinner. 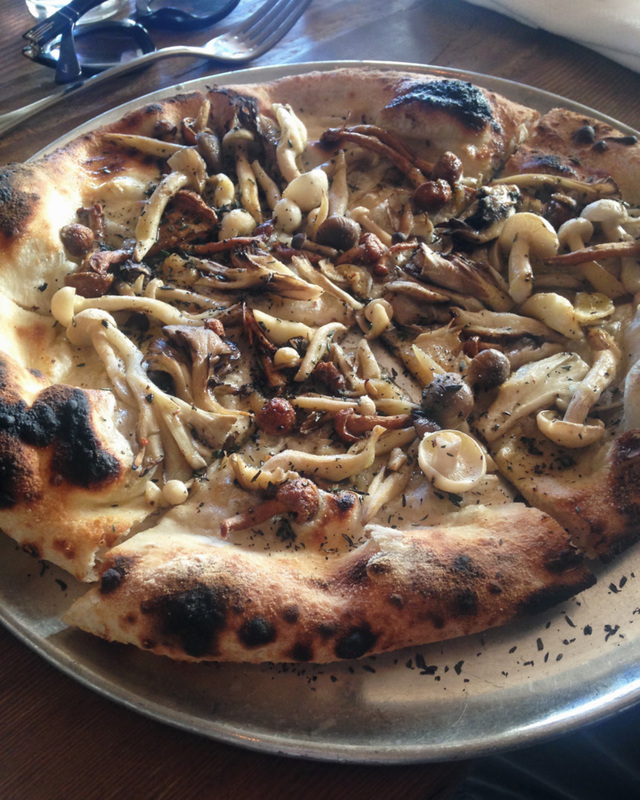 Wood-fired mushroom pizza in Gjelina, cut in slices, perfect for sharing. 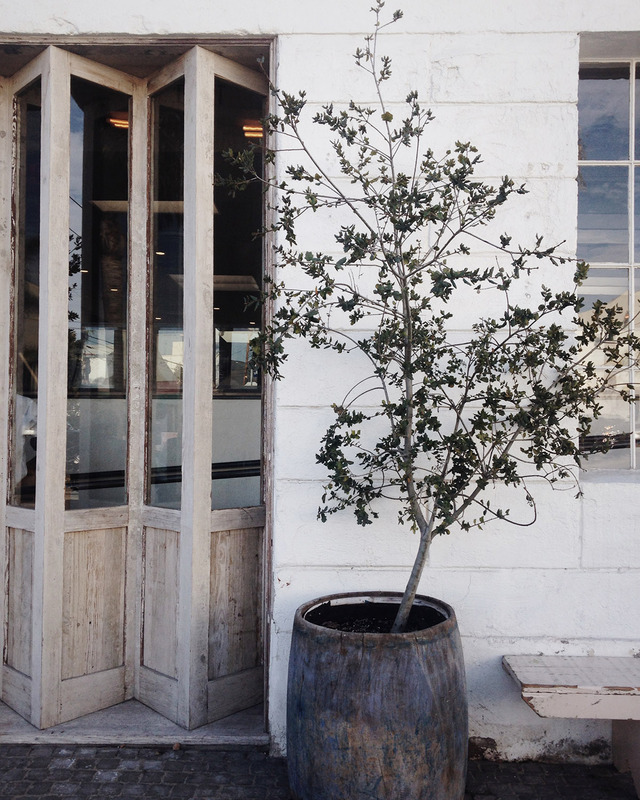 Between shopping and more shopping, there is Mauro's Café, nestled in the backside of Fred Segal. We ordered fish tartare and quinoa salad, both great. 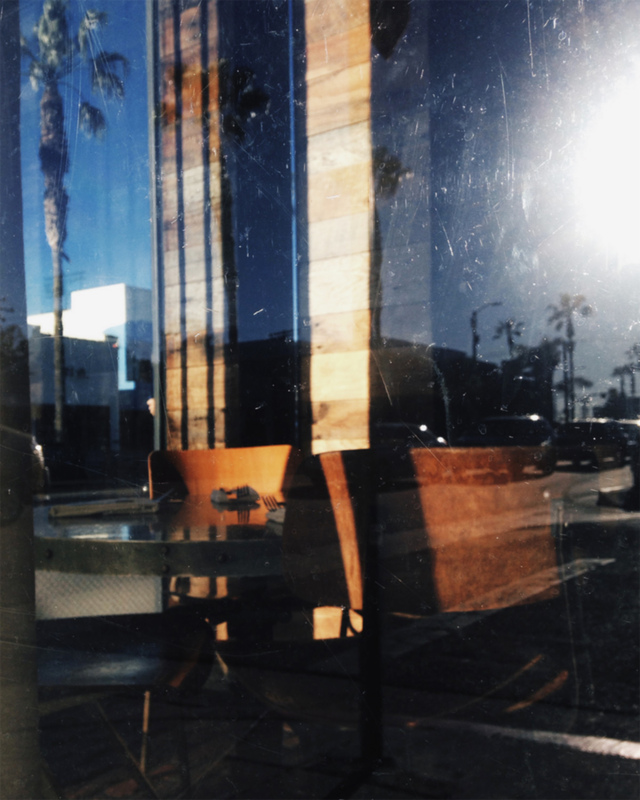 When in Los Angeles, the quality of the day increases a lot if you do not have to move from one neighbourhood to another for too many times. When in Venice, Gjelina never disappoints. I love the abundance of vegetarian options. Ask the staff for recommendations and order several dishes to share, that is the best thing to do anywhere these days. Gjusta by the same owners is special, too. We went in the morning in our jogging clothes, sat down on the backyard patio, and were the only tourists around. Don't you just love it when that happens? Joan's on Third is nice for breakfast or lunch. 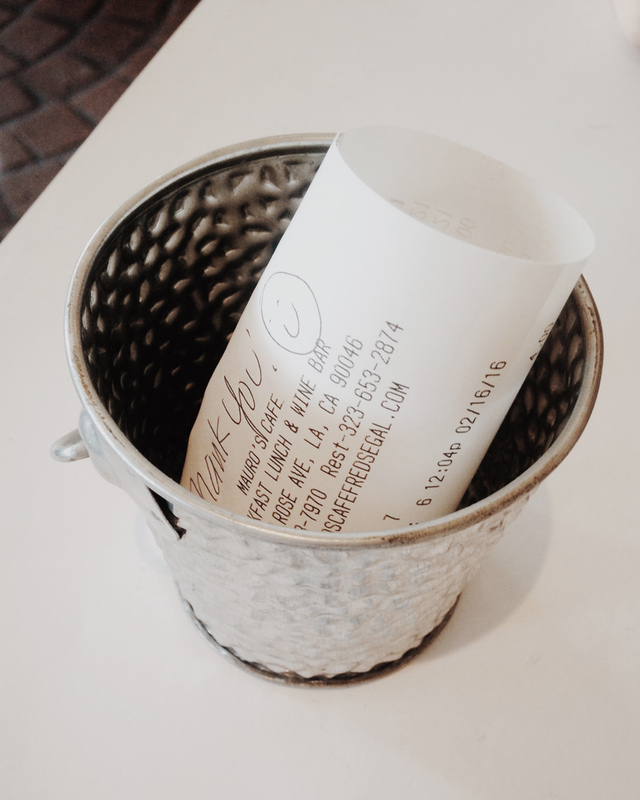 I love the place, the mood and the interior, it has been there forever, and you can order dishes as simple as oatmeal with bananas... Mauro's Café at Fred Segal is an easy lunch spot when you are in the neighborhood. These four I will most likely return on my next trip. But as there are so many interesting restaurants coming and going and changing and moving, I mostly just follow the restaurant guide sleeping next to me, who follows all kinds of foodie sites and knows what is going on in different cities. Anyway, if you want to eat well in Los Angeles but do not have the energy to do extra research, just take a look at the Eater 38 list and you will be fine.